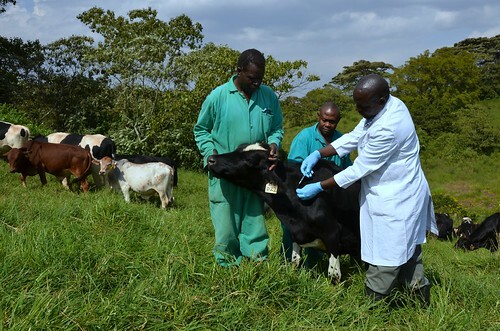 ILRI research is working towards more effective livestock vaccines (photo credit: ILRI/Paul Karaimu). 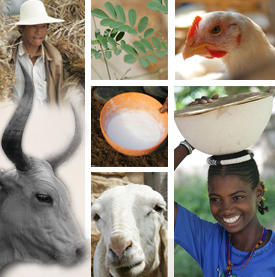 The February 2018 issue of the Animal Health Matters newsletter from HealthforAnimals features portraits of four animal health scientists from the International Livestock Research Institute (ILRI) who are developing vaccine-based solutions to reduce the burden of livestock diseases, particularly among smallholders and pastoralists, thereby protecting the health of animals and increasing their productivity. Pictured, from top, in the Faces of Global Innovation section are Nicholas Svitek, cellular immunologist; Naftaly Githaka (background), manager of ILRI’s Tick Unit and Gad Owido (foreground), research assistant; Naftaly Githaka; and Rosemary Saya, research associate.